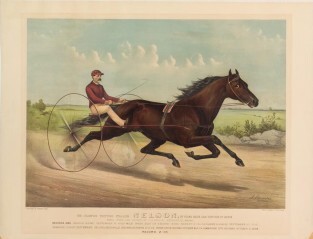 Driver and dual horse team trotting to right in image. 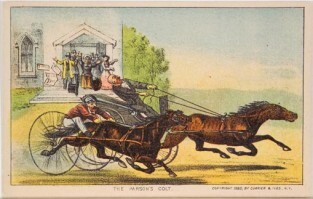 Driver wearing brown jacket and green cap. 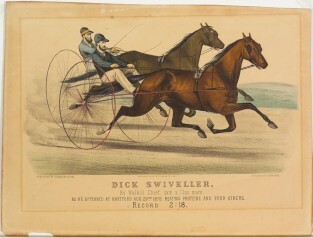 Trade Card: Two men racing one another, one driver and trotter and one in carriage. Group of people behind cheering. 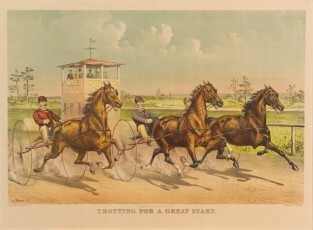 Two drivers and two horses trotting on track to the right in image. 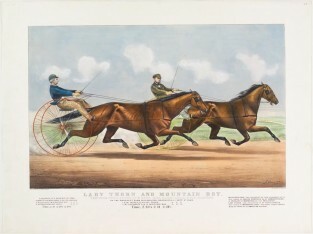 Two trotters racing to the right in image. 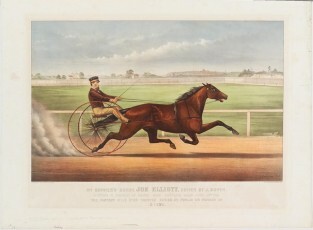 Driver and horse trotting to right on track. 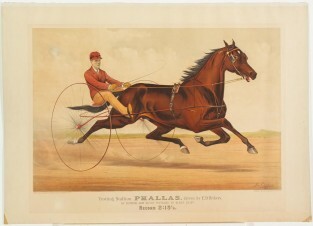 Driver in red colored cap. 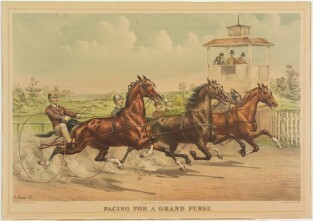 Horse and driver racing to right in image. 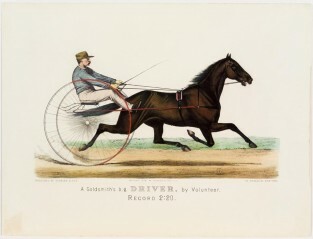 Driver wears brown jacket, brown and black cap and beige pants. 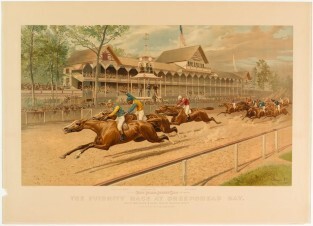 Rider and horse racing to right in image. 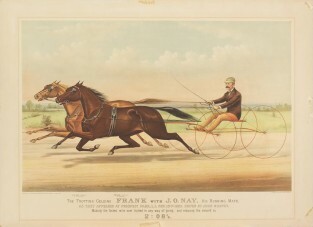 Brown horse. 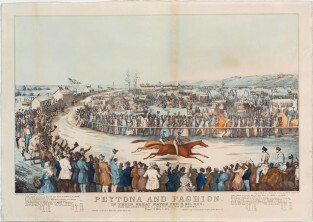 Rider wearing blue jacket and brown hat.